As the first attorney to post on our site, I’d like to formally introduce myself. 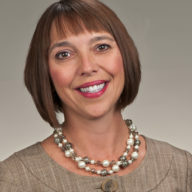 I am Ellen Adams, the Chair of the Collins & Lacy Workers’ Compensation Practice Group. We are thrilled to be launching this new adventure of sharing our knowledge and experience with you in the “blogosphere.” Our hope is that you will learn more about who we are, what we do, and how we do it.